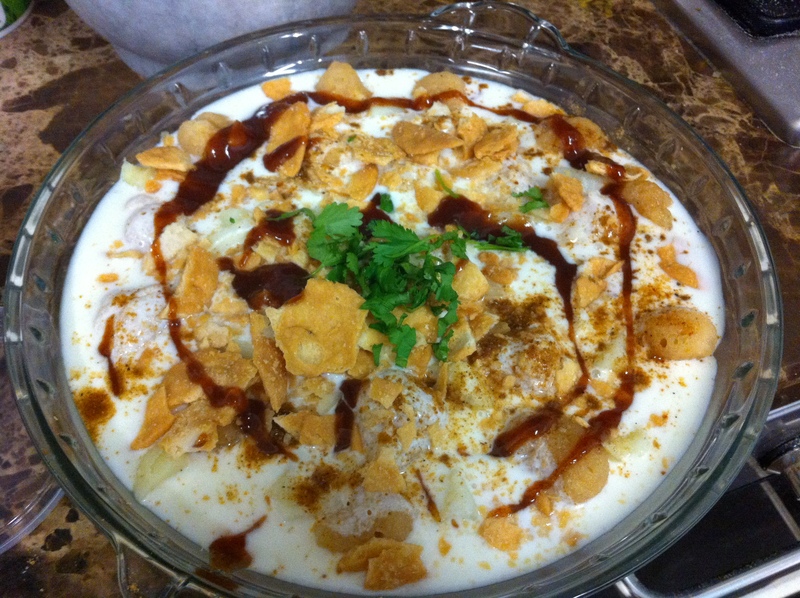 -In a shallow glass dish, lay a layer of 2 cups of papri, then chickpeas, then potatoes, then half of the onions and then spread the yogurt mixture. -Garnish with the rest of the papri, coriander leaves, onions, cumin seed powder, tamarind chutney and mint-coriander chutney. -Sprinkle some chat masala on top and serve.